“Unlike the BJP, the Congress leadership does not believe in dictating terms to its state governments,” Singh said in response to PM Modi’s claim that he is a ‘Gandhi Bhakt’. Addressing a rally at Kathua in Jammu and Kashmir, PM Modi accused Amarinder Singh of deliberately skipping the event at Jallianwala Bagh, attended by Vice-President Venkaiah Naidu. He also accused the Congress of insulting the Jallianwala Bagh martyrs by boycotting the official function organised by the Government of India on Saturday. “He (Capt Amarinder Singh) went there along with Congress president Rahul Gandhi but he did not attend the official function. He boycotted the official function as he was busy showing his loyalty towards his party and the Gandhi family,” Modi had said, adding, “I know Captain Amrinder Singh since long and I have never raised questions over his nationalism”. “Shocked by your remarks in Kathua on Jallianwala Bagh Narendra Modi ji. You used a sombre occasion to play dirty politics, conveniently ignoring your own government’s decision to hold a parallel event instead of extending support to my govt, which we’d been requesting for two years,” Amarinder Singh wrote in a tweet. 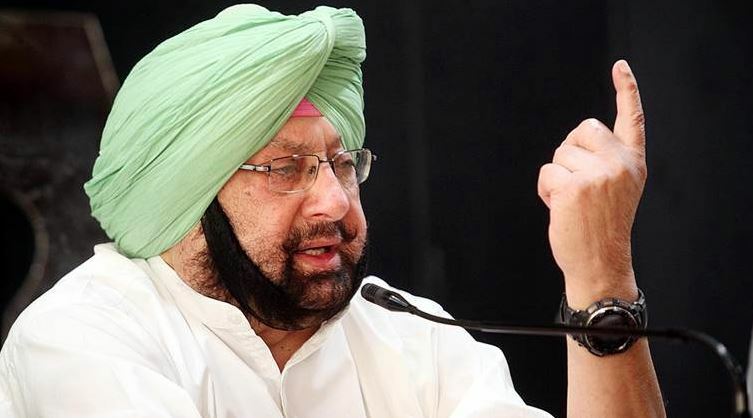 The Punjab CM also alleged that the BJP government had deliberately chosen to hold a “parallel event” instead of supporting the initiatives and programmes of the state government for the centenary of the Jallianwala Bagh Massacre.